Eye Examinations, refraction for glasses and fitting of contact lenses. Regardless of your age or physical health, it is important for everyone to have yearly eye examinations. When an eye doctor examines your eyes, he or she is doing more than checking to see if you need glasses. Early detection of diabetes is possible with regular eye examinations. During a complete eye examination, your eye doctor will not only determine your prescription for eyeglasses or contact lenses, but will also check your eyes for common eye diseases, assess how your eyes work together as a team and evaluate your eyes as an indicator of your overall health. Co-management for cataract, LASIK and other refractive post-operative care. Our office will work with your cataract or refractive surgeon for all of your post-operative needs. We carry various frame styles from a number of designers including GUESS, Harley Davidson, Juicy Couture, Nike, ESPRIT, Safilo, BCBG MAXAZRIA, Mark Ecko, COVERGIRL, Jennifer Lopez, IZOD, Geoffrey Beene, RAMPAGE, Candie’s, Sketchers, ELLE, Flexon, Ecru, GANT, Ellen Tracy, Ocean Pacific, Marchon, Aristar, BONGO, Junction City, Clear Vision, Big & Tall frames, AND MORE! 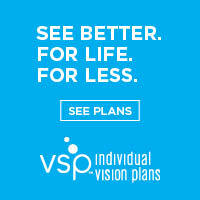 For your eyeglass needs our options are complete and offer only the highest quality. Single vision lenses can be made for distance, reading or computer only needs. Bifocal lenses offer two points of focus and can be customized for your personal working distances. Trifocal lenses are made for three focal points of distance, intermediate and near reading. Progressive add lenses have nine to twelve focal points to accommodate all vision distances. New digital lenses can be produced to help give you the best vision available in both single vision and progressive lenses. We offer all lens materials from polycarbonate, Trivex and Hi-index that include scratch coat and 100% UV protection. Anti-Reflection can be added as a coating to your lenses to reduce reflection and glare giving more clarity to your vision and photo-chromatic lenses can give you the option of lenses going from clear to dark, adjusting to your environment. Polarized lens treatment is an excellent option for your sun-wear giving you excellent protection and glare reduction around water and snow. We now also offer Chemistrie Clips for all frames! This option can make your everyday glasses into sun-wear or there are also reading options and blue light blocking options to add with a clip as well! Come in and see our full display! We offer multiple contact lens products so that each patient can have the best fit for their eyes. These include many modalities of wear from dailies to monthly and quarterly replacement. Multifocal/bifocal contact lens and toric lenses for astigmatism are available as well as spherical lens options. Alcon, Bausch & Lomb, CooperVision Inc., and Vistakon lenses are fit in our office. Many specialty Rigid Gas Permeable (RGP) fits available for keratoconus, post-surgical and MORE!